Government officials may feel that they can control the market, however, this would be a major mistake. In many ways the damage has been done by letting the interest rates fall to their current levels. Due to the household debt levels that this article discusses, it will be difficult to raise these rates. 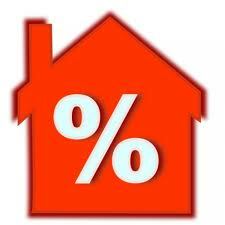 Now it goes without saying that there are many factors involved in interest rates that go far beyond the housing market but they have the ability to swing the market one way or another with substantial movement up or down. Over the years we have seen a substantial tightening in financial regulations for those trying to get mortgages. This has been meant to protect the consumer, however, the regulations have not been extended to toxic debt on items such has household goods, cars, credit cards, etc. These are the credit facilities that should see further regulations should they choose to tighten the rules further. The government’s attempt to protect consumers from themselves is understandable however their idea of controlling the market is absurd as they will only cause problems. Check out the article below as it is an interesting read.